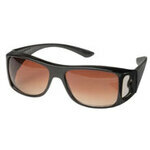 Clear view wraparound sunglasses provide glare-free, 100% UV protection from every angle and make everything look sharper and brighter. 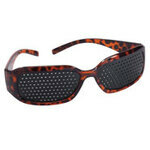 These polarized sunglasses' unisex style comfortably fits over regular eyewear; no more fumbling with clip-on sunglasses! 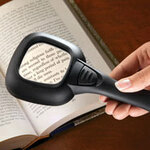 Hand held lighted magnifier helps you read fine print without eye strain. 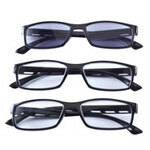 Handy tool's glass magnifies 4x and offers 1 bright focus light or 5 LED reading lights. 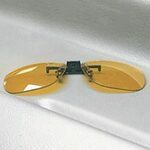 Slim design of LED hand held magnifier makes it perfect for a purse, glove box or nightstand. 7 3/4" L x 3 1/3" W.